London based Payza is a global payment system that covers 199 countries and allows transactions in 26 different currencies. In addition to offering payment services from Payza member to another Payza member you can also transfer funds using Payza to a bank account. Every country has different protocol when it comes to payment methods, emerging countries fro instance may be limited in the ways they allow people to transfer or remit funds. That’s where Payza really shines as an e-wallet, giving access to people in underbanked countries to move funds or for example to deposit funds into a binary options trading account. In many countries Payza allows its members to fund their accounts using bank transfer, Visa and even Bitcoin. You also have the option to withdraw your funds in the same way. Although fund withdrawal is only offered in USD, GBP or EUR only. Payza is widely accepted by binary options brokers as a secure and efficient payment method. Here’s some examples of binary brokers that accept this payment method. Payza is split into two different types of accounts, business and personal use. Personal accounts are perfect for shopping online, depositing funds into a trading account. You may also make payment requests to people that owe you money and you can send money by email for free. Business accounts are excellent for those in ecommerce or with multiple websites for instance where they can manage payment from one centralized dashboard. The business account also allows users to integrate Payza as a payment option into their shopping cart and create Payza pay now buttons on your website. With a business account you may also send invoices to clients. Payza prides itself on its customer support service which is always on hand to help and they also have an efficient resolution centre where they can help resolve issues with payees. Opening an account with Payza is free and so is sending funds. It is receiving funds where you are charged. The charges are fairly low at 2.90 % + $0.30 USD per transaction received. Payza also allows you to exchange currencies at market price and they charge a 2.5% commission for the service. Finally you charged for withdrawing funds at $15 for a bank wire, credit card depends on the amout to be withdrawn and Bitcoin at 2%. Payza also has an excellent and user friendly app which you can download form Google Play. We only hope that Payza will appear on the app store at some point so IOS users may also use the payment system. You can pay anyone just by having their email address and it means you never have to compromise the integrity of your personal bank details or credit card numbers. This is particularly useful when depositing into a binary options account or shopping online. Opening an account is easy, first you need to select your country of residence and also the type of account you want ie. Business or personal. Then you will need to fill out your details to open the account. You will then finish by deciding which payment method you’d like to use to fund your wallet. This includes form you bank account, certified check, money order or through your credit card. You will verify your account and then you can instantly start using the payment system. Account Verification: Payza as with all payment methods follows KYC protocol. This means Know your Customer and involves carrying out due diligence before accepting Payza members. It means knowing that your customers really are who they say they are. This is anti fraud and anti money laundering protocol. Furthermore Payza variefies new customers when they open accounts, through checks on their identity and also their banking details. Merchant Website Review: Websites that place Payza payment buttons on their site are thoroughly reviewed to check that they comply with Payza practice standards. 128-bit SSL Encryption: Any payment data given is encrypted through Secure Socket Layer Technology. This protects the information from being revealed either to employees at Payza or indeed to cyberhackers. FraudMatrix: Payza has a system called FraudMatrix which closely monitors and tracks potential fraudulent activity. It learns from threats and reacts accordingly. As mentioned previously deposit methods really depend on which you country you are residing in. As a general rule Payza accepts Credit Card, Bank transfer, Certified Cheque, Money Order and Bitcoin. If we compare the fees at Paypal which is the gold standard of electronic payment methods with Payza we see that Paypal doesn’t charge for purchases but does charge 2.9% plus $0.30 USD for receiving funds. Meanwhile Payza also charges 2.9% plus $0.30 USD. Paypal serves a further reaching audience although there are advantages to working with Payza such as the customer support and the possibilities available to both business and personal customers. 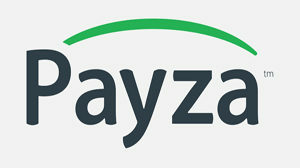 Payza is an excellent choice of electronic payment provider. It is easy to use and friendly to existing and potential customers, both businesses and personal users. The fees are pretty standard at Payza but some of the features are very useful such allowing businesses to place payment buttons in the shopping cart. Also Payza is accepted in countries across the globe where Paypal isn’t necessarily accepted. Payza is definitely a good and secure way for investors to place deposits with binary options brokers. What are the brokers accepting Payza? Is it safe to use Payza? Are there any limits using Payza? No. You can use it as you wish.